Driving under the influence (DUI) is a very serious charge that may result in harsh consequences such as jail or prison time. Depending on the seriousness of the charge, you could also lose your license for an extended period of time, inhibiting your freedom and severely impacting your ability to earn a living. Multiple convictions can lead to far more serious consequences, with a third conviction considered a felony DUI in the state of California. Time is of the essence. In fact, you have only a short amount of time to appeal the suspension of your license. The legal team at Hales & Associates, A Professional Law Corporation will take the necessary steps to make sure that you can continue to drive. Do not admit guilt or issue any kind of statement before speaking with one of our skilled DUI attorneys. We can inform you of your rights and will begin working immediately to strengthen your defense. 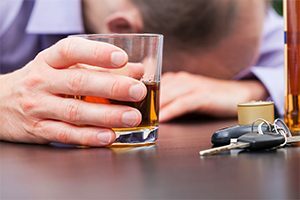 There are various defenses against a DUI charge; the circumstances and equipment used can often be called into question and your blood alcohol content (BAC) results challenged. Did the officer have reasonable suspicion to stop the car? Can the officer articulate reasonable suspicion for the detention? Was there probable cause to arrest? Were the Implied Consent Warnings properly instructed? How reliable is the equipment used? Were you denied access to an attorney upon arrest? Were your rights upheld? Hales & Associates, A Professional Law Corporation provides legal defense for those facing DUI charges. Call our office today at (951) 489-3320 to schedule your free consultation with a trusted Murrieta lawyer.